"The BBC's storytelling tradition is all around experiences." The BBC is in something of an enviable position. As part of its duty to "inform, educate and entertain," the broadcaster is effectively mandated to innovate -- to explore new technologies that can better serve the public. This is the job of BBC R&D, which is looking to virtual reality as a new way to tell stories, without the same commercial pressures other broadcasters face. There's a certain freedom in this, and it's allowing the BBC to go beyond 360-degree video and dip its toe into more immersive "true VR" experiences, with the first of these being published today. Easily accessible, 360-degree video has already found favour at the BBC. You don't even need a cheap headset like Google Cardboard to take a tour of the Large Hadron Collider, walk alongside a titanosaur with David Attenborough, learn about Rome's Pantheon or get the best seats in the house at a Strictly Come Dancing show. This type of content is (relatively) quick and inexpensive to produce, making it attractive in the nearer-term. 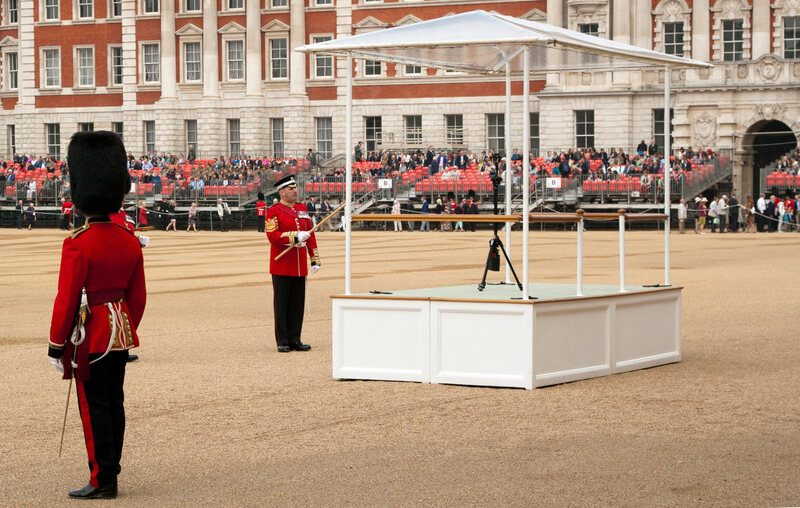 The BBC's latest 360-degree video, launched today on BBC Taster, Facebook and YouTube, puts you in the front row of the recent dress rehearsal of "Trooping the Colour," the annual pageant that this year will mark the Queen's 90th birthday. The beauty of 360-degree video is you can consume it on pretty much any device in one form of another. Aided by third-party expertise, though, the BBC has also begun testing more powerful hardware and creating "true VR" experiences in fully computer-generated worlds to tell stories in new and different ways. A couple of these early experiments are available to download from today on the BBC Taster site, including "Easter Rising: Voice of a Rebel," created for the Oculus Rift. This almost dreamlike production puts you in the shoes of Willie McNieve, who participated in the Irish rebellion against British rule in Dublin, 1916. It succeeds in making this historical event an extremely personal one, using an audio account McNieve himself recorded to guide the story. Also designed for Oculus Rift and published on BBC Taster today is the slightly more arresting "We Wait." In it, you become one of a group of fictional migrants waiting in the night to cross from Turkey to Greece in an ill-suited smugglers' boat. Despite the angular looks of the computer-generated avatars, elements like the blinding flashlight beams, the rumble of the boat's small motor, and the shudder in your companions' voices leave you with a palpable sense of unease. 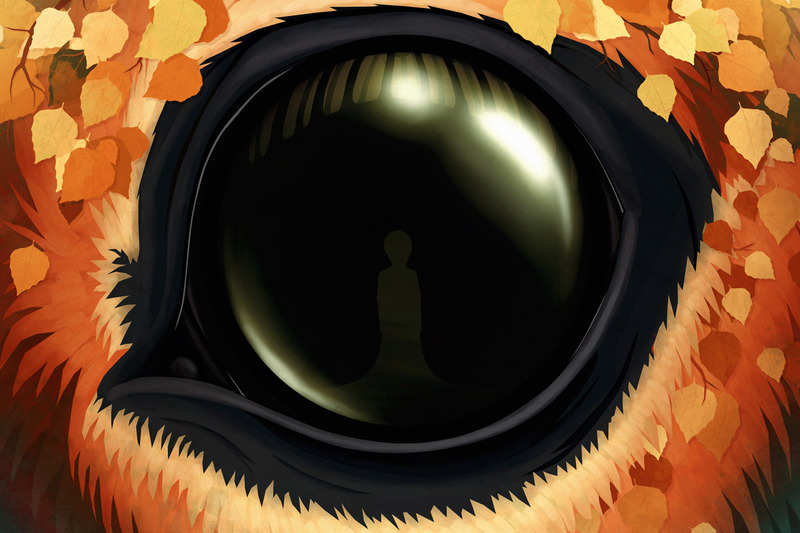 On a lighter note, "The Turning Forest" is a modern VR fairytale that uses 3D audio to compelling effect. A rustle of leaves in the enchanted wood may be telling you where to look, or perhaps it's just a distraction. Several light, interactive elements anchor you in this psychedelic fantasy, while a giant friend takes you on a journey of pure escapism. "The Turning Forest" premiered at the Tribeca Film Festival earlier this year, and will be available for the Oculus Rift via BBC Taster in the coming months. 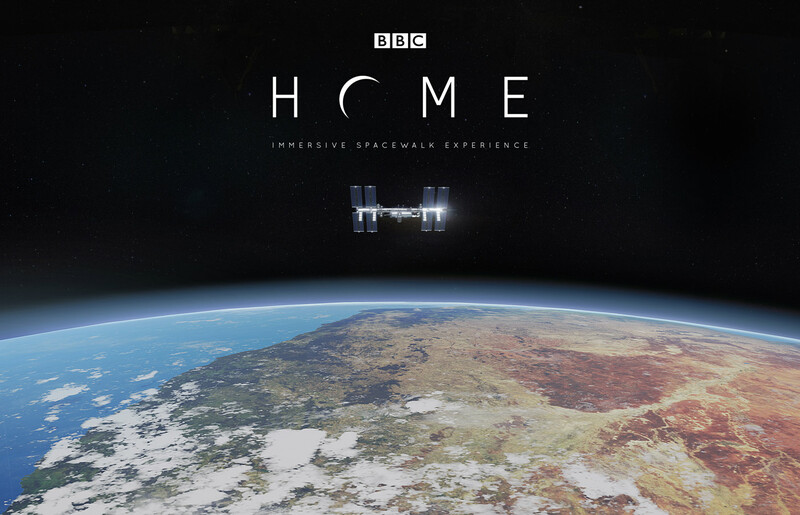 Probably the BBC's most ambitious project, "Home - A VR Spacewalk" uses the HTC Vive and motion controllers to put you to work on the International Space Station. My demo also entailed wearing a heart-rate monitor that fed real-time data and sound back into my spacesuit, and sitting in a haptic feedback chair for even greater immersion. The premise of the player-driven experience is simple: get out there and repair some minor external damage. It ends up being far from simple. Debuting at the Sheffield Doc/Fest today alongside several other VR experiences, it'll be available on BBC Taster later this year. These first steps into "true VR" aren't just an opportunity for the BBC to explore different headset hardware, virtual reality formats and techniques, but a range of content too: from educational to emotive, entertaining to unnerving. The BBC is well aware that only the earliest of adopters have Rifts and Vives at home, but there was also a time when TV was a brand new medium, and sets scarce. By conducting these trials, the BBC wants to put itself in a position to work with VR if and when powerful headsets become more common. "The BBC's storytelling tradition is all around experiences," BBC R&D Controller Andy Conroy told me. "I suspect somewhere in here is one of the genres where that notion of 'experiencing VR' is the perfect way of telling that story. And that's what it'll add to us."